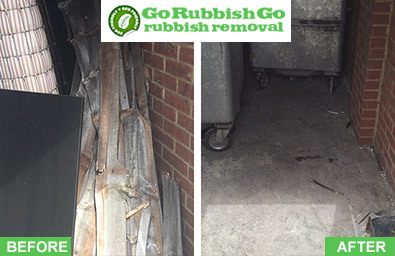 Go Rubbish Go is a leading Uxbridge house clearance UB8 company with long years of experience in delivering unparalleled quality of service at bargain prices. We have consistently served the local community with convenient solutions to dealing with all types of waste materials and clutter, improving our services with every passing year, and we don’t intend on stopping anytime soon. If you have a house in UB9 full of old furniture, a loft that could do with a bit of decluttering or a garage stuffed with useless junk, don’t get stressed out. Give us a ring on 020 8610 9182, tell us what it is that you want taken off your hands and we will carry out a well-organised house clearance UB8 for you. It’s as simple as that! You can now hire a reliable house clearance service in UB8 without having to spend a fortune in order to be able to afford it. 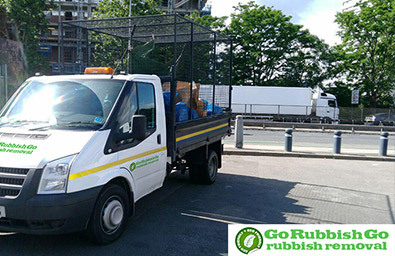 We have developed a convenient pricing strategy that allows you to book only the services you require and pay only for the amount of rubbish we collect from your property. This flexibility allows us to offer our high quality services to everyone, regardless of their budget, and gives you a cheap solution to all issues that have anything to do with waste. You don’t have to put up with clutter a minute longer just because you are worried about the price of hiring a professional service to get it cleared away. Just call us on 020 8610 9182 today and book your appointment with us for an affordable Uxbridge house clearance UB8. We are the best company you could hire for your house clearance Uxbridge and that is not just a boastful claim. We have spent years in honing our skills of handling waste materials of all types and we have gathered a team of experienced rubbish collectors who undergo training on a regular basis in order to always be up to date with all latest developments in the industry and the best techniques for dealing with different kinds of rubbish. This makes our house clearance services the most reliable in all of UB8, UB9 and beyond, and we back that up with a full money back guarantee. With us on the job, you and your property will be in the safest hands possible, and your waste issues will soon be just a distant memory! 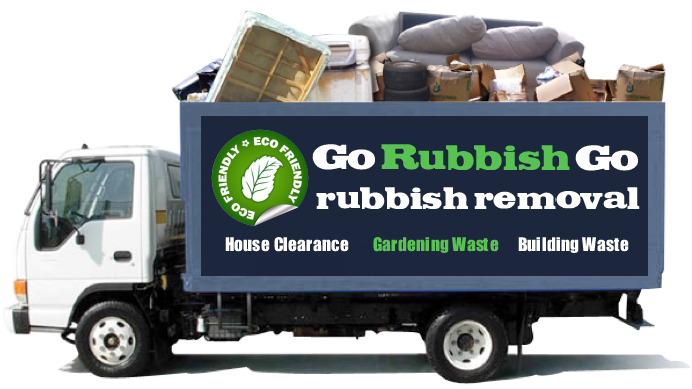 Are you worried that your waste might harm the environment when it is disposed of or that the company you hire for your house clearance UB8 may dump all the junk in an irresponsible manner thus causing irreparable damage to nature? If you book our services in Uxbridge, there will be no cause to worry about any negative consequences for the environment. We have taken extensive measures to make our service as eco-friendly as possible, like heavily incorporating recycling in our practices, using special equipment and vans that emit fewer harmful gases, etc. Furthermore, we constantly keep improving our Uxbridge, UB8 house clearance services to make them even greener and meet all governmental regulations for waste management and disposal. Call 020 8610 9182 to book your green solution now! Do you have an emergency on your hands and need to get rid of clutter and rubbish by the end of the day? 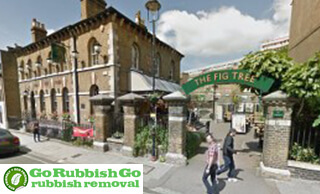 Don’t panic – Go Rubbish Go will come to your rescue! Our same day house clearance services are available anywhere in Uxbridge, UB8 and we will respond to your emergency request quickly and skilfully. 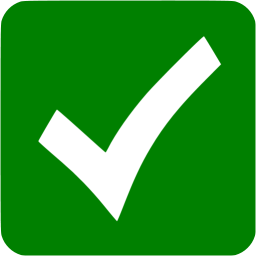 We know that when disaster knocks on your door it is rarely planned for and it requires fast and adequate action. Let us be your contingency plan for handling problems related to rubbish and relax safe in the knowledge that you have every eventuality covered. Book our handy same day services for your house clearance Uxbridge today and by the end of the working day all the junk will be gone from your property without any fuss or stress! You no longer need to pay an arm and a leg just to be able to hire a half-decent Uxbridge house clearance service. We offer you a much better alternative! Get in touch with our experts today and claim your free quote for the best services in town at rock-bottom prices! We now offer the residents of UB8 and UB9 an opportunity to save even more with our exclusive deals and discounts. Why spend more when you can spend less and receive a better quality service? Speak to our customer service representatives on 020 8610 9182 today and see how we can save you time, effort and money with our outstanding UB8 house clearance Uxbridge services. Call now and see if you are eligible for a special discount! Found within West London and the Borough of Hillingdon, Uxbridge is a large suburban town and home to the administrative headquarters of the borough. Brunel University can be found here, as can the Buckinghamshire New University’s Uxbridge campus. Among the local attractions of historical significance are the Battle of Britain Bunker and the Crown & Treaty pub. Hillingdon House was bought by the government in 1915 and its grounds were home to the RAF Uxbridge; today the mansion itself is Grade II listed. The first records of St Margaret’s Church are from 1245 which makes it one of Uxbridge’s oldest buildings. Intu Uxbridge and The Pavilions are the main shopping centres in the district and a large part of the town centre is a pedestrian area with many offices and shops. Uxbridge tube station has services on the Piccadilly and Metropolitan lines.